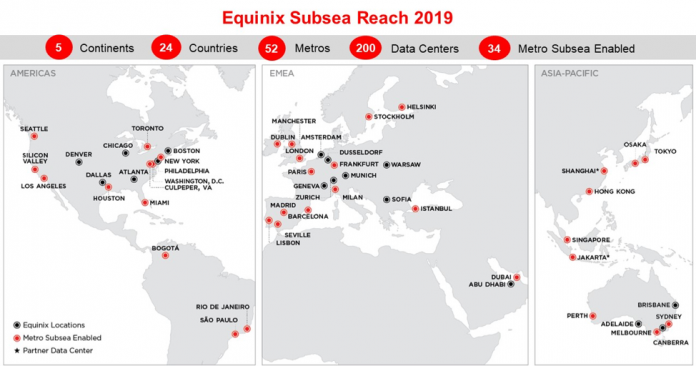 Google has selected Equinix for its Los Angeles area cable landing station (CLS) supporting the Curie subsea cable system, the first subsea cable to Chile in the last 20 years, said Equinix in a statement. In the U.S., the cable is expected to land at the Equinix LA4 International Business Exchange (IBX) data center located in El Segundo, Calif. The Curie cable is expected to go live in 2019, says Equinix. Read a blog post by Alex Vaxmonsky, director, business development for global service providers, Equinix, here.